Aren't these little bunnies so sweet, this clear stamp set is called Bunny Buddies and is part of the Whimsy Stamps April new release. 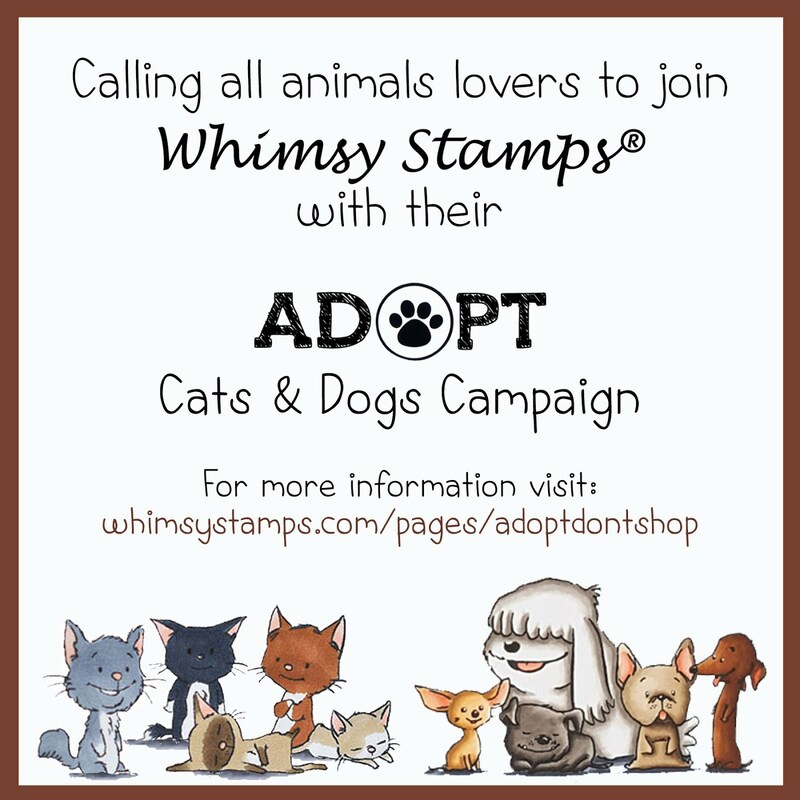 Whimsy Stamps has a great collection of rubber background stamps that give just the right amount of texture to complement so many styles of stamps. I love our background stamps as they basically make your own custom patterned paper in which you're only limited by your imagination. 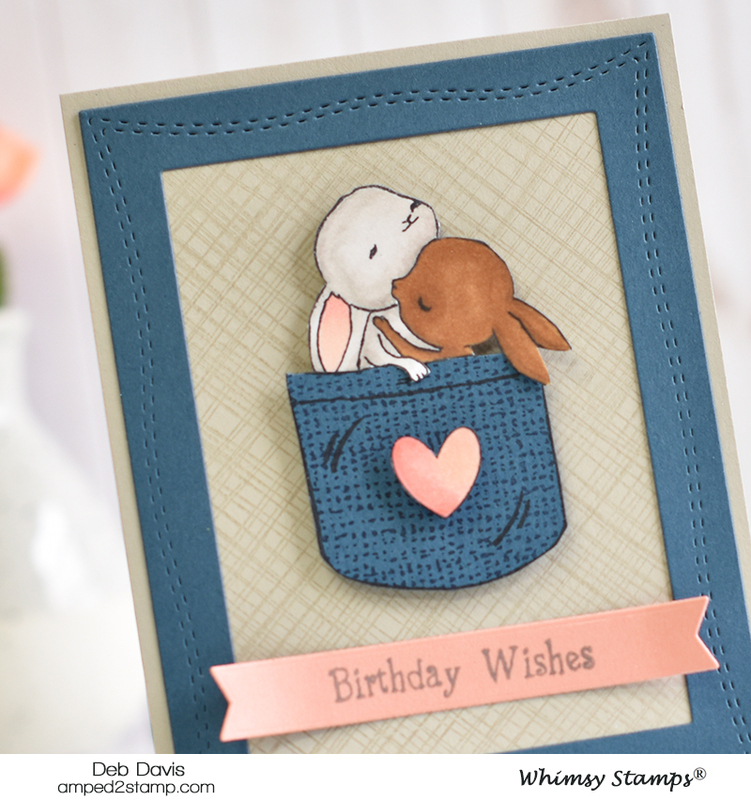 So for my two backgrounds (the pocket and the area behind the bunnies) I'm using the Burlap background and the Messy Mesh background. I stamped the Burlap BG in navy blue ink onto a denim blue card stock. 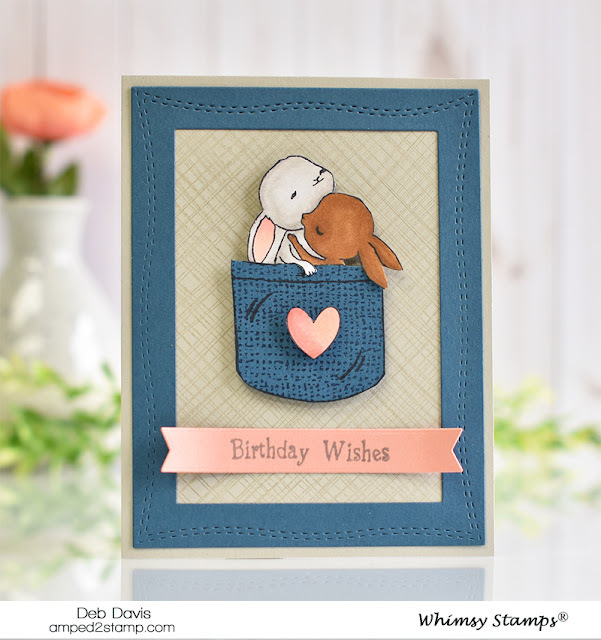 Then stamped the Bunny Buddies and hand cut out just the pocket, then stamped the wrinkles onto the pocket. I stamped the bunnies again onto white card stock and colored with Copic markers, then hand cut them out, cutting off the pocket below them. I lined the bunnies up behind the pocket and taped them into place leaving the little paw and ear over the pockets edge. I added foam tape to the back and placed on the Messy Mesh background. Then I added foam to the back of the heart and placed that on the pocket for even more dimension. 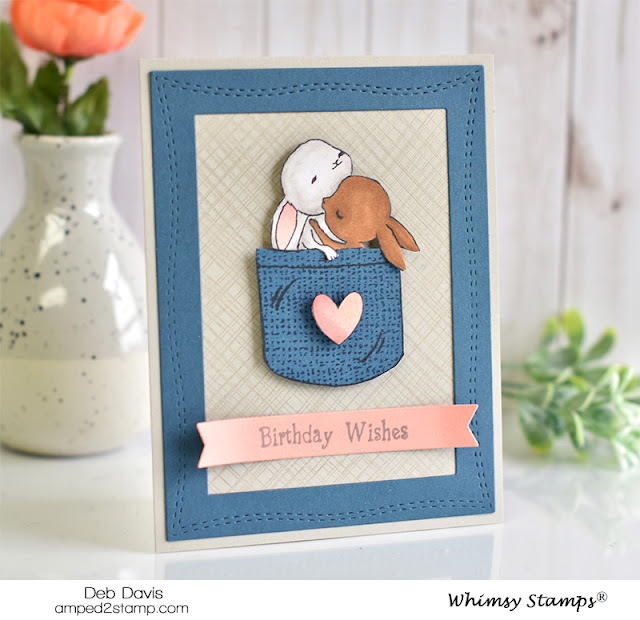 The blue frame was cut using the Rectangle Shaker Maker die (a staple die that I use often). 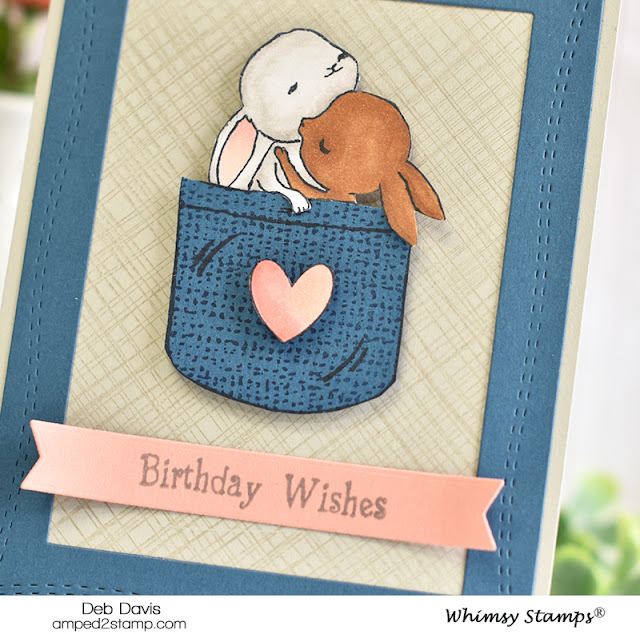 There are several sentiments in the Bunny Buddies set that can be combined for different occasions so I chose "Birthday Wishes" and stamped that onto one of the Quick Strips dies (another staple die I use ALL the time;). Then lastly I matted everything onto a sand colored card base.